Kasey Dallman, Editorial Advisor, started out as the Amazing Kid of the Month Writer and Researcher, and has loved every minute of it! She currently is an elementary music teacher in Southeastern Wisconsin. 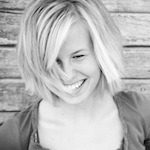 Learn more about Kasey and her writing at http://kaseydallman.wordpress.com/.